We understand the challenges that having an inoperable vehicle can create. That’s why at Solo Auto Electronics we focus on all Auto Computers, including Nissan Frontiers, to ensure premium service for all of our customers. 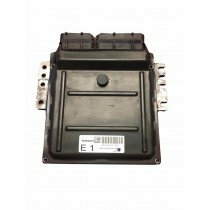 If your Nissan Frontier is stalling or having trouble with the ignition, you could be in need of a replacement PCM to get your car running as it should. Call us today to learn more. Without a properly functioning auto computer, your Nissan Frontier will never run as it should. Our team of experienced technicians are trained and skilled in handling all PCM,ECM and ECU issues from rebuilding to reflashing. It is pivotal to handle your vehicle’s computer with intense care as it is the brains of the operation. Order your replacement Nissan Frontier PCM today to guarantee that your car is up to the standards it should.